Anna B. Hedgepeth is the Director of Business Development at Cranfill Sumner & Hartzog. In this role she oversees all the firm’s business development and marketing activities across all office locations. Anna is passionate about the business side of law, and combines that passion with her legal education, development and marketing experience to maintain a client-focused, teamwork strategy for the firm. Her goal is to increase the firm’s marketplace awareness among clients and facilitates cross-office and cross-practice collaboration. She works closely with the firm’s management committee and senior leadership team regarding client relations and business development training, coaching and planning, competitive and business intelligence, and marketing communications programs. She oversees and sets direction of public relations, advertising, market research, and competitive intelligence. Anna is actively involved in both her professional and local community. She has served as the Chair of the Legal Marketing Association’s Raleigh City Group, is a Board Member of the Triangle Literacy Council where she was involved in legislative efforts to secure state funding for expansion of the Juvenile Literacy Program, and supports the efforts of the WakeMed Foundation benefitting WakeMed Hospital. She also serves on the advisory board for a local business with multiple locations across the state, and on the advisory council for the Senior Law Clinic at Campbell Law School. In law school, Anna served as Student Bar Association President and received the David Roy Teddy Innovative Leadership and Service Award and the Student Bar Association’s Service Award for her dedication to making the Campbell Law Community a better place. She also served as a Webster’s Scholar for Webster’s Real Estate Law in North Carolina. 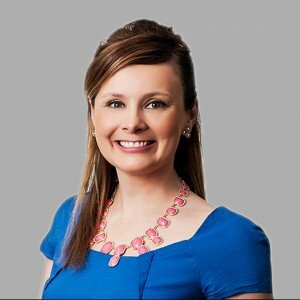 In 2014 she was recognized with a Your Honor Award by the Legal Marketing Association Southeast Chapter (comprised of 10 states across the Southeastern United States) as the Member of the Year, and in 2016 she received her second Your Honor Award in Social/Interactive Media for an internal business development initiative at CSH Law she helped create and lead. In her spare time she loves to spend time with her family, cook, run, paint, and read.